Sen. Martha McSally met with Customs and Border Protection agents in Nogales Tuesday afternoon, who have been working without pay for weeks. TUCSON, Ariz. — It's day 32 of the partial government shutdown. Thousands of Arizonans are affected and many are working without pay. McSally chose the Mariposa Port of Entry in Nogales to meet with the agents. She says she came to do a morale check, to thank them for their dedication and to show that she is standing with them. 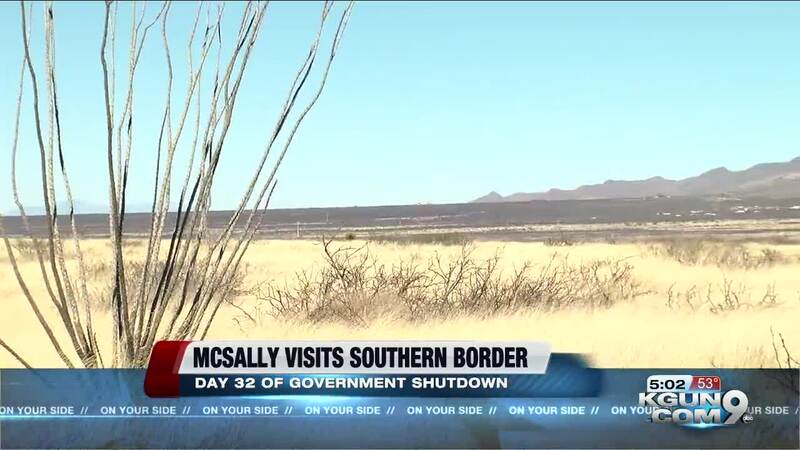 "I am standing with them by also forgoing my own pay, by introducing the 'Pay Our Protectors Act,' which would provide pay to those law enforcement that are on duty like the officers and the border patrol agents that are out here as well," McSally said. Last week she signed a letter with other senators -- including her Arizona counterpart Sen. Kyrsten Sinema -- pledging to support border security if Trump reopened the government for three weeks so Congress could negotiate a solution. Sen. Kyrsten Sinema says she's committed to reopening the government as well. "Shutdowns are irresponsible, and leaders of both parties should do their jobs and find a solution," she said in a statement. "As always, I'm ready to do what's right for Arizona."